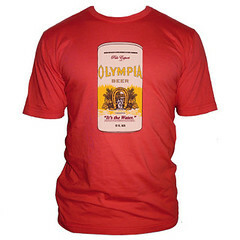 HRC Giveaway: Kurt Cobain Olympia Beer Tees from Worn Free! In honor of what would have been Kurt Cobain’s 42nd birthday on February 20th, I’ve teamed up with Worn Free to give away 2 Olympia Beer t-shirts. To enter, send an email to hardrockchick-at-hardrockchick-dot-com with your size and color preference below by midnight on February 19th. Great Idea! Kudos to the HRC Marketing Dept. Teaser: new HRC pics coming soon! Some cool promo pics coming soon thanks to some beautiful friends…here’s a lil’ teaser. I found this sign in my ‘hood very inspirational.